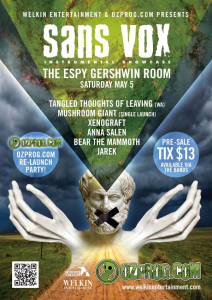 OzProg is proud and excited to announce that we’ll be having a re-launch celebration at the Sans Vox instrumental showcase at Melbourne’s famous Esplanade Hotel. 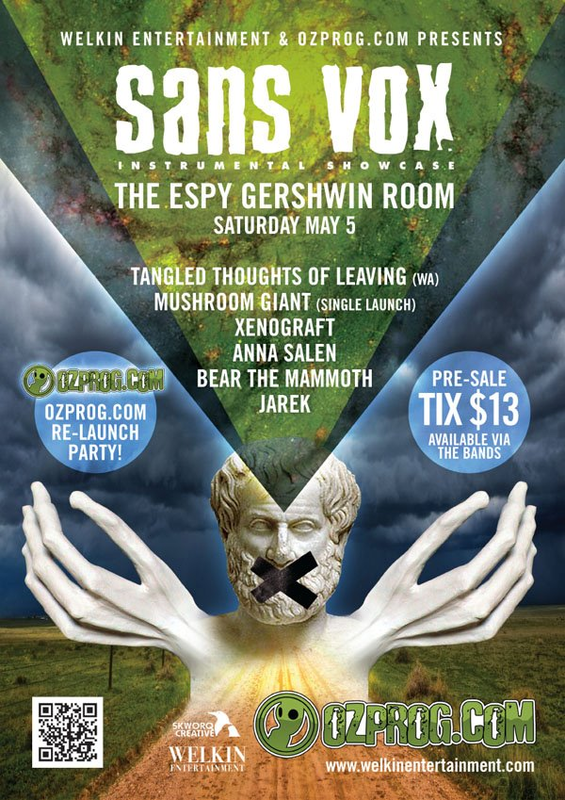 Featuring the very best of local instrumental music (including more than a few OzProg favourites), Sans Vox will take over the Gershwin Room on Saturday, May 5th. Doors open at 7pm. Tickets are $13 available directly from the bands (see below for links).